Leverkusen - With their international stars, including Hakan Calhanoglu, Karim Bellarabi and Heung-Min Son, back in the fold, Bayer 04 Leverkusen staged their annual Bundesliga Media Day on Monday. The event was used to present new signings, take official photographs and produce exclusive media content for use throughout the 2015/16 campaign, while each player also got to try his luck at the Bundesliga Corner Kings challenge. Leverkusen youth players Lukas Boeder and Robin Tim Becker still have plenty of time to get used to the spotlight - not that the two 18-year-olds showed any signs of nerves as they got the full Media Day treatment for the first time. Remember the names! Can anyone spot B04's trusty mascot? Translation: Time is of the essence. 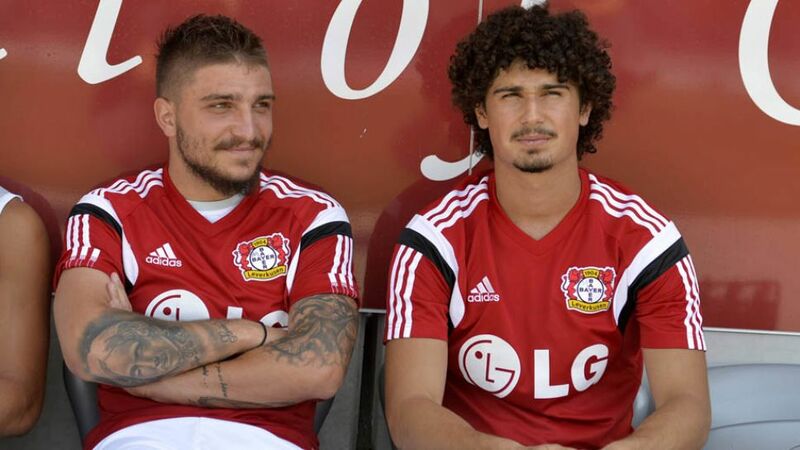 Bayer Leverkusen line up for the team photo, everything has to be spick and span. "And you can see the result here," replied Bayer Leverkusen to the Bundesliga's earlier tweet.